An HIV-positive patient who was refused treatment for lung cancer is planning to sue the hospital concerned. 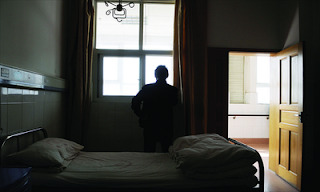 Despite national regulations which state that medical institutions must provide treatment for all diseases to HIV/AIDS victims, Xiao Feng (pseudonym), a 25-year-old Tianjin native, had to resort to subterfuge to receive cancer treatment, forging his medical records to reflect that he did not have HIV. Li Hu, the manager of the North China Region of the China Alliance of People Living with HIV/AIDS, said that he has released information about the case in a bid to bring more attention to the plight of China's HIV sufferers who face great discrimination when attempting to access medical treatment. "We want to sue the hospital so we can build a health system and HIV/AIDS patients can have the same treatment as other people," said Li. Xiao Feng was originally refused treatment at Tianjin Medical University Cancer Institute and Hospital in early October after they discovered his HIV-positive status, said Li. "Although he contacted the local health bureau [in Tianjin] for help, there was no response," Li said. "He then came to Beijing to ask for treatment at Ditan Hospital and was also rejected," said Li. Beijing Ditan Hospital of Capital Medical University specializes in infectious disease, however it is not a cancer center and could not perform the necessary operation, said Li. Xiao Feng approached Li for help on November 8. Li advised him to forge the medical record from Tianjin Cancer Institute to show he was HIV-negative, so he would not be tested again. Another Tianjin hospital did operate on Xiao Feng, and although it was unaware of Xiao Feng's status, they have now informed the hospital, said Li, who would not reveal the hospital's name. "The reason we changed his status is because we think patients have a 99 percent chance of being rejected by hospitals if they know the patients are HIV carriers," he said. Xiao Feng is still resting, and is not available to be interviewed, said Li. A media officer at Tianjin Cancer Institute said they did treat Xiao Feng for 18 days as an inpatient. The hospital is not suitable for treating HIV/AIDS patients, she said. "The patient's [HIV] condition might mean he wasn't suitable for an operation," she said, adding that they are investigating why the hospital refused to operate on Xiao Feng. Since Li first posted of Xiao Feng's experience on his Sina microblog last week, the story was reposted and commented on thousands of times, with some Web users broadly supportive, but others condemning the deception. "Every career has risks, but I think doctors should face disease like professional medical staff. If they don't want any risk then it's better to quit," said Web user Hao Kefei. Another Web user called Xianfengqing said Xiao Feng's action is murdering doctors and other patients. "Not only are you not ashamed of forging [records] but you also dare sue the hospital. Dirty!" Zhou Zijun, a professor with the School of Public Health of Peking University, agreed that Xiao Feng's actions were inappropriate since it can put doctors and other patients in danger. "We need to give HIV/AIDS patients care, but they also have to understand that their disease is infectious and may affect the social security," he said. He did not explain how HIV sufferers could impact social security. According to the 2006 Regulation on the Prevention and Treatment of HIV/AIDS, all medical organizations must provide HIV/AIDS patients with treatment for non-HIV diseases, although it does not stipulate a punishment if the hospital refuses. Ministry of Health media officer Deng Haihua, confirmed that hospitals must not reject such patients. "Although they are required to go to designated hospitals for HIV/AIDS treatment, any domestic hospitals should offer medical treatment of non-HIV diseases," Deng said. Liang Kunxian, from Beijing Lianggao Law Firm, said that forging a case of illness is illegal since it may endanger public safety. If convicted of this crime, a person could face up to three years in jail, said Liang. "If a hospital refuses to treat an HIV/AIDS patient, it is considered discrimination, but there is no punishment in law for this," Liang said. "The chance of Xiao Feng winning his lawsuit against the hospital is low, as there is no law to force hospitals to treat an AIDS patient," said Liang. There are three hospitals in Beijing designated to treat HIV/AIDS patients for free, including Ditan Hospital, Beijing Youan Hospital of Capital Medical University and Peking Union Medical College Hospital, the Beijing Daily reported in July 2009. But these hospitals also often refuse patients, said Meng Lin, who is HIV-positive and works for the China Alliance of People Living with HIV/AIDS. "Their range of medical treatment is not as broad as ordinary hospitals, which means that some diseases can't be treated there," he said. "Although they can ask doctors from other hospitals to do the operation, this will mean additional medical fees for the patient," he said. In May, another HIV-positive man from Kunming, surnamed Yang, was refused treatment for eye disease at four hospitals in Yunnan Province. He was finally accepted at a fifth hospital after a delay of 20 days, reported the Kunming Daily on May 10, 2012. An anonymous media officer from Ditan Hospital said that although every hospital should accept HIV/AIDS patients, Ditan does not have the medical infrastructure to treat lung disease. However, he insisted that if a hospital rejected a patient, it would be for reasons other than having HIV/AIDS.